Finally! After four years of waiting, it's time for the World Cup! It's a time to wave your flags, shout until you have no voice, and maybe skip out of work. There's nothing like it in the world, this global celebration of sport, when half the world tunes in to watch with friends and family and cheer on the best players in the universe. Unfortunately, for some people, it isn't all fun and games. For LGBT fans, it can be downright dangerous, especially in Russia. 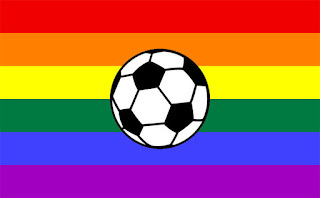 The St. Petersburg based LGBT group Coming Out has set up a hotline for LGBT football fans visiting Russia in response to the oppressive environment created by the Putin regime - including recent discriminatory legislation - and threats from homophobic football gangs roaming the country. Violence against LGBT in Russia is not uncommon. We invite LGBT football fans in Russia to use SumRando Messenger to communicate safely and privately during the World Cup. Our end to end encryption is top notch and is under the Russian radar, unlike some of the more trendy messenger apps. (For example, the Russian regime has given thumbs up to hacking WhatsApp and Skype as part of its plan to monitor all internet traffic in the country.) Even better, SumRando Messenger gives you the ability to destroy your messages forever, even if they are on the other person's phone. Leave no trace of your communications. Leave no "evidence" for oppressive governments to exploit should you be arrested for simply being you. 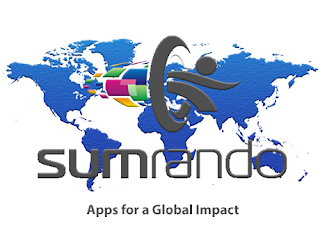 SumRando Cybersecurity is a proud supporter of LGBT rights. Time moves forward, not backwards. It's time for humanity to move forward as well. Until then, we'll continue to provide the tools to keep LGBT and any oppressed group safe from the hateful wrath of oppression.